Your vehicle’s comfort and safety systems, tires, general maintenance…we’ll take good care of your four (or more)-wheeled friend. Family owned and operated and connected with the community since 1977. Speak with one of our automotive professionals and get a free consultation. Since 1977, Fort Collins Muffler & Automotive has been a family owned and operated auto repair shop, providing fast and friendly auto repair services in Fort Collins. We pride ourselves in maintaining a high quality of care in a convenient time for our customers, and for more than 40 years, we have served the area with reliable, high–caliber auto repair services to anyone that walks through our doors. Beyond regular and routine repairs, we are also a certified Colorado Emissions Repair Facility and value our investment in our community by serving and supporting many local sports teams and charities. If your vehicle needs any of the above services or repairs performed, or even if your vehicle simply needs general maintenance and preventative care, we urge you to stop by our Fort Collins auto repair shop or contact us today to schedule a time for us to look at your vehicle. 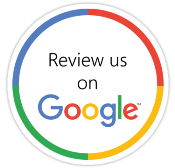 If you have any questions about our automotive repair shop or the services that we are able to provide, please don’t hesitate to reach out and contact us today. We look forward to helping you with any, and all, of your vehicle troubles. Should you run into an unexpected problem with your vehicle, come to the repair technicians you can trust to accurately and honestly assess your problem, then provide you with the best solution for your car. Our goal is to keep your vehicles running smoothly. We are often able to foresee problems before they become inconvenient and advise you as to the best way to provide preventative care for your automobile. Regular maintenance on your car is the best way to keep the engine clean and clear. With our more than 40 years of experience, you know that we have seen it all, and are ready to tackle any problem that comes our way. If your vehicle has failed an emissions or smog check, don't panic. We can assess the problem and give you the best possible chance of passing on your second chance. Smog checks are meant to protect the air quality in Colorado, and when a car does not pass a check, we move quickly to help protect our local environment. Call (970) 325-6630 today! Contact one of our automotive professionals today.